Amazon is officially joining the race to create a network of satellites in low earth orbit that will provide high-speed terrestrial internet services. The company has filed its first papers with the U.S. government for approval to launch a network of 3,236 satellites through a subsidiary called Kuiper Systems LLC, according to a report in GeekWire. Named for an astronomer who’s considered “the father of modern planetary science“, Gerard Kuiper; Kuiper Systems is the latest foray into space-based internet networking by a U.S. tech giant. 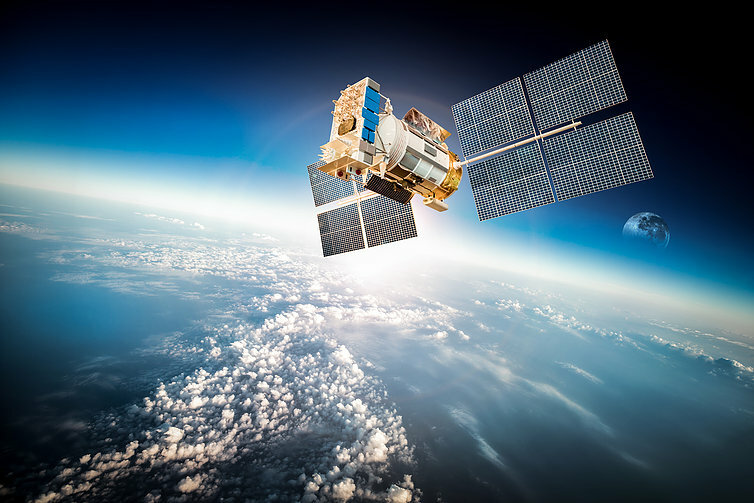 As private companies look to commercialize space, high speed internet is among the prospects that offer the highest profits in the short term, while providing necessary services to get the remaining 3.8 billion people who don’t have access to the internet online. In February, OneWeb, another company that’s expecting to create a network of satellites to provide high-speed internet access successfully launched its first satellites. The company has raised at least $3 billion, according to CrunchBase, from investors including Virgin, Coca Cola, and the Bharti Group — and they’re not the only company to raise several billion dollars to develop these services. SpaceX also has designs on creating a global satellite network — in addition to its leading position as a launch services provider for companies looking to access outer space. In December, the company set out to raise another $500 million to support its Starlink program, which would create a network of 11,000 satellites to cover the globe with internet connectivity. To date, the company has launched just two prototype satellites, even though earlier reports stated SpaceX, at one time, projected it would have 400 satellites in orbit by the end of 2018. Finally, the social networking giant, Facebook has been working on satellite capabilities of its own. In a May report, the IEEE Spectrum laid out how Facebook had set up a small subsidiary called PointView Tech, which was developing a new satellite called “Athena” that could deliver data ten times faster than SpaceX’s Starlink satellites. Amazon’s journey Kuiper satellite service compliments the work that another Jeff Bezos company, Blue Origin, is conducting on the design, development and production of launch vehicles to take payloads into orbit. Blue Origin has already signed contracts for a multi-launch agreement with Telesat — another company that’s . developing a low earth orbit constellation of satellites that will deliver fiber-like broadband services across the globe.